"Where are you from?" The friendly Cuban man asked us as we walk past him on a crowded backstreet in Havana. "We're from Canada!" We exclaimed proudly. His reply came as a bit of a shock and stopped us in our tracks. "I thought all Canadians just drank and partied in Varadero!" This same dialog was repeated many times, in different forms as we travelled independently around Cuba for 3 weeks this spring. But why do Canadians have such a reputation in Cuba? So many Cubans wonder why we refuse to experience their country and instead, simply sip mojitos and laze on the beaches of the northern shores. Cuba is more than white sand beaches, bottomless cocktails and all-inclusive resorts and yet, few Canadians ever venture outside of the confines of culturally challenged Varadero. 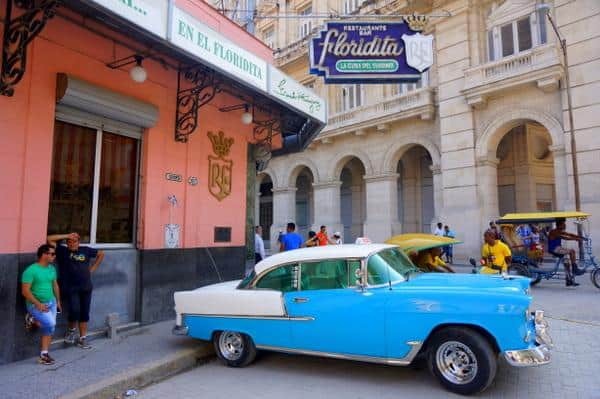 Cuba is a vibrant country boasting delicious food, hospitable people, lush countryside and a rich history. The heartbeat of the nation pulses to the slow rhythm of African Rumba and the smooth salsa sounds. But if you never leave Varadero, you may just see Cuba as another holiday resort destination. This is a huge mistake because Cuba has so much more to offer! Below we've listed 5 places that will make you want to leave your resort behind and we're sure that if you do decide to visit any one of them, you may not want to return to Varadero ever again! Close your eyes and picture a brilliant shade of green. Now stretch that canvas over an enormous countryside of rolling hills and bougainvillea trees. Pierce through the emerald floor with dozens of 60-foot-high limestone karsts and then scatter the landscape with small white farm homes. Hear the sound of pure silence, interrupted only by the occasional whinnie of a horse and the creaky wheel of an ox-drawn carriage in the distance. This is Viñales and it is truly one of Cuba's best travel destinations. 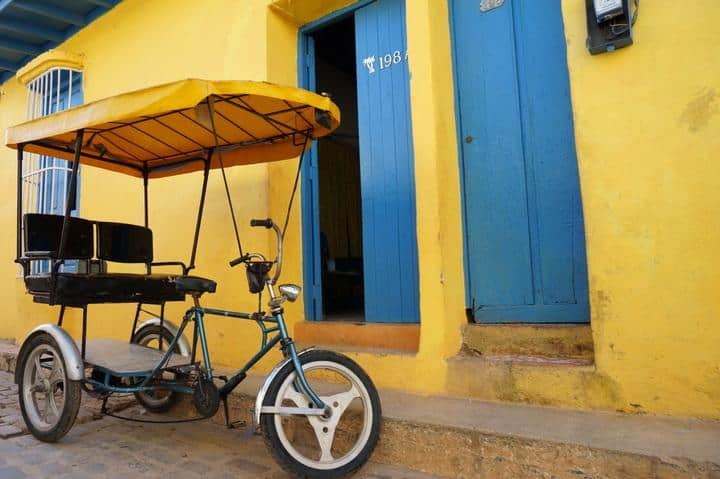 Viñales is where the lion's share of the country's tobacco is grown and you can walk, cycle or ride horse back through any of the surrounding farms. Meet local families who will invite you over to smoke their famous leaves - expertly grown, cropped and rolled into the finest cigars the world has to offer. Pull up a rocking chair and watch the sun dip behind the rocky cliffs as it paints the rock a bright gold before disappearing beneath the horizon. If you tire of spending your days with local families and learning about the process of growing tobacco, you can go caving or head to the nearby Cayo Jutias for a day lazing on powdery white sand, just as you would at your resort... only here, there are actually Cubans doing the same thing, and you can mingle and chat with them as you swim, relax and enjoy the sun. Every resort in Cuba will offer day trips to the nation's capital and it's somewhere you'll definitely want to explore. Nowhere is Cuba's turbulent history more evident than in the crumbling facades and cracked columns of Havana Centro. But there is more to the capital than just classic cars and collapsing historical buildings. Here you'll find the country's best live music, played on almost every street corner. 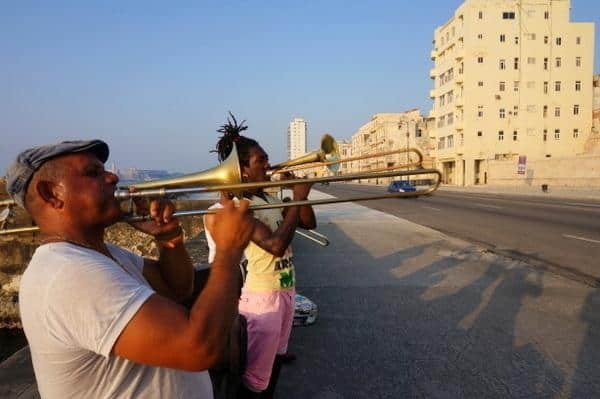 In Habana Vieja, the city's restored colonial masterpiece, you'll hear music everywhere. There is dancing in the streets and the energy truly needs to be felt to be believed. While in the capital, try one of Havana's up-and-coming restaurants and put to rest the misconception that "Cuba doesn't have good food". The correction to that overused statement is "Cuban resorts don't have good food". In Havana you can eat juicy ropa vieja, finger licking sloppy Joes and fresh seafood - all for a fraction of the cost of the same food at home. There is no city quite like Havana and we recommend that you spend at least 2 full days in the capital to really get a feel for the amazing vibe that exists there. For more about Havana, read our Guide To Independent Travel In Havana. For some reason, guidebooks don't give Camagüey a very promising write-up... but we're not complaining. This lack of promotion is probably part of the reason that this charming colonial city doesn't appear on most travel itineraries. Aside from Havana, Camagüey is probably Cuba's most sophisticated and exquisitely restored city. With more than 310,000 people, it's the nation's third largest center, but a weekday stroll along the kilometer-long, pedestrian-only walkway of República avenue will make you feel like you're walking in a much smaller town. 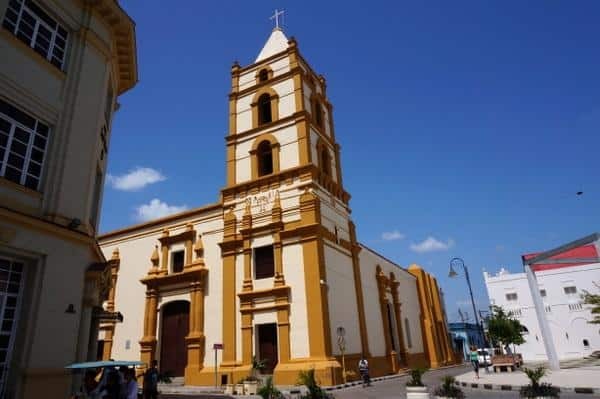 Colorful colonial homes, restaurants and cathedrals line the labyrinth of streets that make up Camagüey's old town and a highlight of visiting the city is getting lost in its maze of historical architecture. Don't miss theatre street, Inglesia de Nuestra Señora de la Merced Cathedral and Plaza San Juan de Dios. Perhaps the more modern-feeling city of Cienfuegos doesn't have the same charm as Camagüey or Havana, but that doesn't matter. The city is still fascinating, with a long ocean side promenade known as the Malecon, and many beautiful plazas. 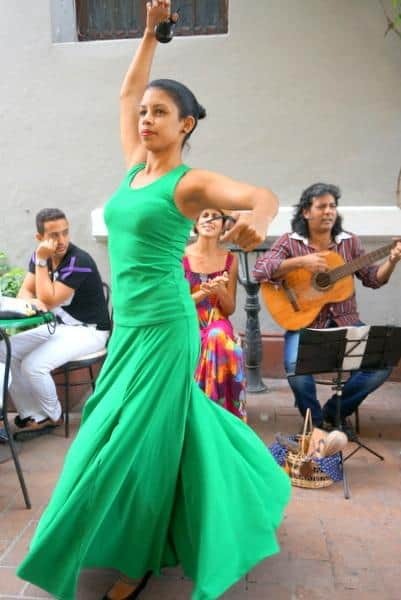 But the real joy of Cienfuegos is the opportunity to witness Flamenco culture at El Patio Andalú hostel. The fun-loving, free-spirited family that run this casa particular are obsessed with Flamenco, and experiencing one of their cultural shows is a must while in Cienfuegos. Even if you don't stay at the hostel, stop by to meet the family and find out when the next show will be! Number 5 on our list isn't hidden gem anymore. Hundreds of people descend on this colorful colonial town every day from Varadero and from other parts of the country. Luckily, most are only visiting on day trips, so they don't stay for long. We recommend staying in Trinidad for at least 2 days so that you can see the town when it calms down and falls back into its normal, slow-paced Caribbean rhythm. Outside of peak tourist (and street hassle) hours, Trinidad is the perfect place to slowly wander along cobblestone streets. You can stop in at one of the many restaurants or just plaza-hop from one peaceful park to another. If you get tired of visiting churches and photographing baroque-style architecture, you can head on a horse riding tour into the nearby Valley de los Ingenios, or take a coco-taxi to the nearby Playa Ancon beach for some more white sand, turquoise water and Cuban sun. Canadians have earned a pretty embarrassing reputation amongst the Cuban people. 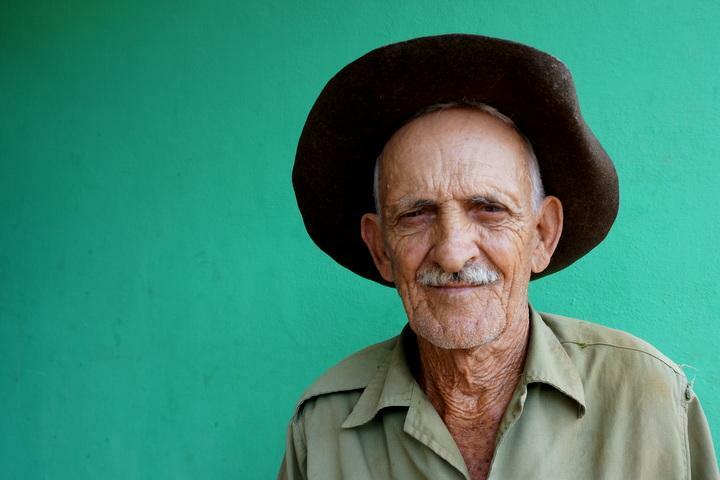 We're thought of by Cubans as the people who never leave the resorts and thus, never truly see their country. If you must stay in a resort while in Cuba, definitely take the opportunity to step outside of the gated community and explore some of the real Cuba. We recommend leaving the all-inclusives behind entirely and instead, staying with local families in Casa Particulars (Cuban home stays) around the country. Your experiences and your understanding of Cuban culture, tradition and history will be much richer for it. Nick Wharton is one half of the couple behind Goats On The Road, and the bi-weekly travel column on CreditWalk. Their website is designed to show others how to turn their travels into a lifestyle. Masters at making money online and on the road, they've been travelling since 2008 and have explored some of the least visited places on earth, finding adventure wherever they go. Have you been to any of these off-the-beaten-track Cuban destinations? The best way to soak up the essence of Cuba is in its classic bars.